Audi vehicles were made to tackle winter with confidence. Thanks to their impressive Audi Quattro all-wheel drive system, Audi sedans and sport utility vehicles are always firmly planted to the road, even if it should happen to be covered in snow and ice. It’s no wonder, therefore, that many Audi owners look forward to the first snowfall. That said, winter does bring with it a few issues that need to be addressed, namely in the form of the sand and salt that cover the roads and that can wreak havoc on a vehicle’s interior. And then there is the need to sometimes escape de city for a ski trip into the mountains. That’s where Audi genuine accessories come into play. They provide both protection from the winter elements, and the added versatility you need to enjoy your favorite winter activities. Let’s take a closer look at some of the winter accessories available from Audi that will make the next few months fly by. In winter, the snow tends to cover things like sidewalks and potholes, making them impossible to see. It’s no wonder, then, that our wheels then to get damaged when the snow and ice start to cover our roads. To avoid damaging your Audi’s original wheels, why not have a look at the lineup of Audi winter wheels offered at Glenmore Audi. These wheels will preserve the look and design of your vehicle, but they will also ensure that your original wheels are not damaged in the upcoming months. 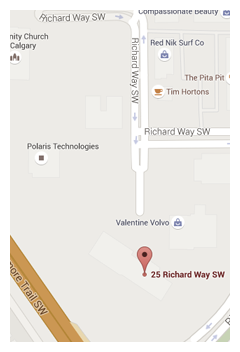 They are the perfect complement to your winter tires. As we mentioned previously, winter can cause a lot of damage to your vehicle’s interior, mostly because of the salt and sand that you will be dragging in and out. This can leave some unsightly stains on your vehicle’s original carpets and trunk. To avoid that problem, get a set of Audi winter mats and trunk liner. They fit perfectly inside your Audi, and they look really good as well! 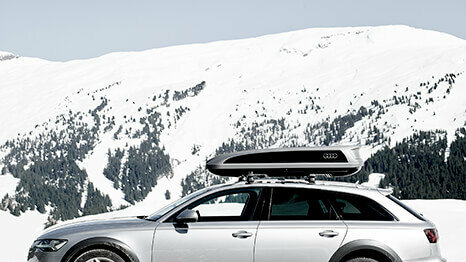 For skiers or snowboarders, Audi’s adjustable ski and snowboard racks are the perfect accessory. Capable of fitting on basically any Audi vehicle, they keep your skis or snowboards in place while fitting perfectly to your vehicle. 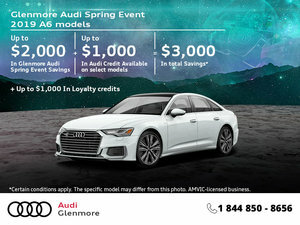 These are just some of the Audi accessories you will find at Glenmore Audi. To learn more, contact us today!